I purchased the Whirlpool dryer WED9600TW about 5 months ago from Sears. I did not purchase any extended warranties because I think a dryer should last 4 years minimum before having to do any repairs. The dryer started out great - it dried the clothes in no time at all. I even had the dryer almost completely full and it still dried in a reasonable amount of time. 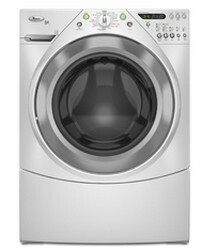 The dryer is energy star certified and is very quiet when running which makes it very nice. Everything went great until two weeks ago when my dryer stopped running out of nowhere. I tried everything to get it to work again but nothing worked. I had a technician come out to my place to try and fix it and he said the cost would normally be at least $150 bucks to fix some type of switch problem but it was still under warranty. The dryer became very hot a lot of the times and apparently it was to the point that it could have been a fire hazard. I would have not ran the dryer at all while away from home if I had none about this. If you are interested in the whirlpool dryer I would recommend getting a warranty there’s a good chance that something could go wrong after the warranty period. On one hand before it broke on me it worked really well but a dryer should last longer than four five months before having problems.